1 pc. 11.80 CHF ea. Whiteboards have not only become a staple in offices. 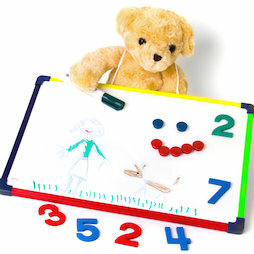 These practical boards are also a perfect accessory for schools and children's rooms - even in our digital age. For drawing, playing, writing and learning - suitable for children 3 years and up. 1 pc. 5.85 CHF ea. 1 pc. 4.70 CHF ea. 1 pc. 12.95 CHF ea. 1 pc. 29.95 CHF ea. 1 pc. 13.95 CHF ea. 1 pc. 21.95 CHF ea. 1 pc. 7.40 CHF ea.